Mark PPrADC badge and Jewel for sale both of which are like new. Dress and Undress Aprons & Collars + 2 Jewels P A G Std B. Full set of R.A.M. Provincial Regalia Apron, Collar and Jewel, Breast Jewel and neck Collar and Jewel. JW Dress Regalia in Very Good condition for £80 plus postage. 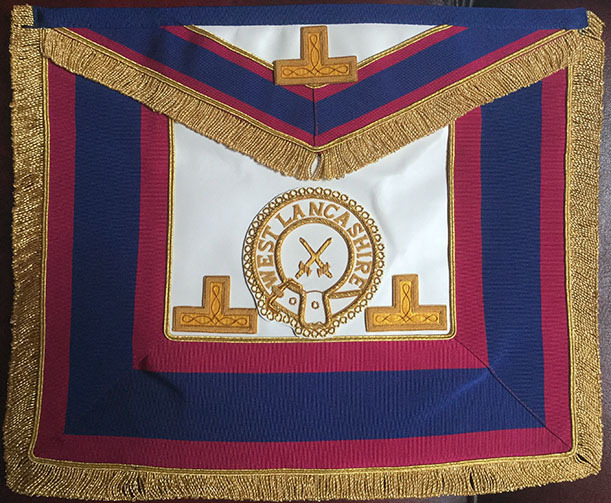 West Lancs. 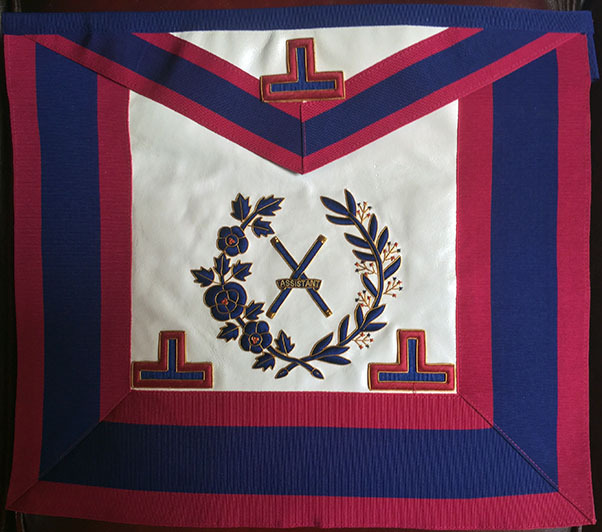 Dress Provincial ADC's jewel and Apron Badge in as new condition. £20 plus postage. 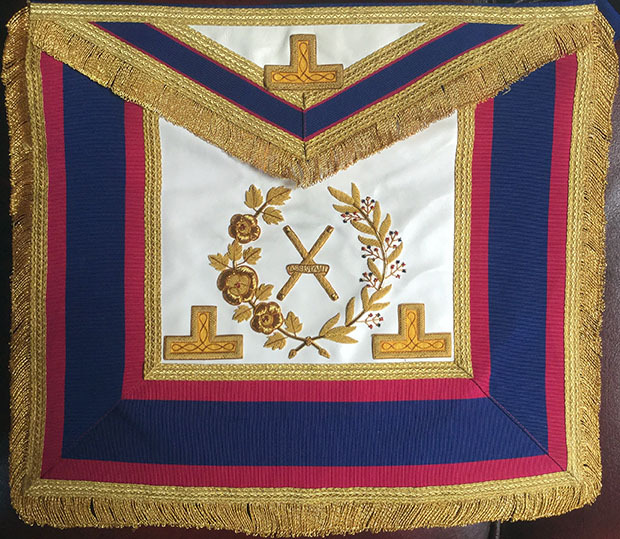 PROVINCIAL SENIOR/JUNIOR GRAND DEACON FULL DRESS APRON,COLLAR+JEWEL AND GAUNTLETS, ALL IN VERY GOOD CONDITION. CHORLEY AREA. 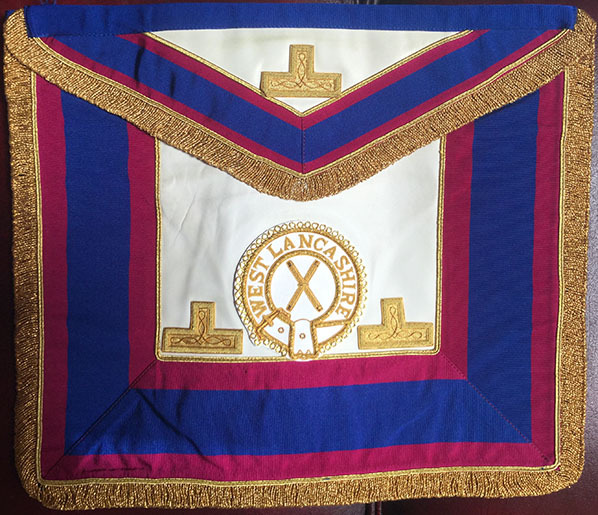 Provincial Craft Undress Apron Badge ADC, £10. The web site advertise these items free of charge and point out that the sale is strictly a matter between the vendor and the purchaser. The Web Master, The Province or the Provincial Office are in no way involved in the financial transactions. Links you use will take you, by email to a direct connection with the vendor.